Buy 1-20T/H Professional Factory complete set of palm oil mill equipment - Shandong Leader Machinery Co.,ltd. 1-20T/H Professional Factory complete set of palm oil mill equipment rack, fans, rotors, single-phase motor, the screen (size two), into the hopper, vibrating screen, triangular belt and its drive belt and other components. After the normal operation of the machine, the raw material is dosed quantitatively, uniformly and continuously into the feed hopper, and the raw material shell is crushed under the repeated blow, friction and collision of the raw material of the rotor. Seed and broken raw shell under the rotating wind pressure of the rotor and blow through a certain aperture of the screen, then the raw shell, grain by the rotating fan blowing force, light weight of the raw shell is blown out of the body, the seeds through Vibrating screen screening to achieve the purpose of cleaning. We adopt advanced dry process method,with the hot air transfer the heats ,so they have many kinds of characters,such as continuelly automatic operation,steady running,low noise and reliable performance. Specially not produce the waste water for pollution,and save the investment . The purpose of cleaning is to remove out the fiber,unqualified fruit and waste clay from the raw palm fruit. It is one kind of centrifuge separator . This process adopts the vertical dryer ,with the hot wind to transfer the heats (80-90degrees). It removes out the more mositure ,let the palm fruit pulp become very softy and damage pulp cell structure. Note: the selection of hot air furnace as heat source, The fuel could be palm shell,fiber,and palm bunch,etc. After drying ,The palm fruit quickly is carried out for Demesocarper,to separate to fruit pulp and nut. 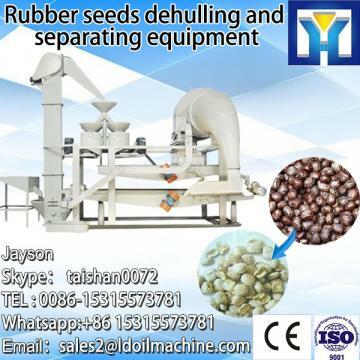 The nut is conveyed into nut clearer process,the palm pulp is fed into screw cooker for heating . The pulp is fed into one screw press for pressing out some oil . Pressing section: Palm fruit pulp enter into continuous screw press for pressing,which is divided into two parts: crude oil, solid impurities mixture including to the cake . Crude Oil gutter inflow to oil purification section; press cake is conveyed into the fiber- recovery section. It adopts the vibrate sieve to remove out the big dregs,fiber from the crude oil . then use the Plate filter to remove out the small dregs . After two steps the crude oil is very clearer. 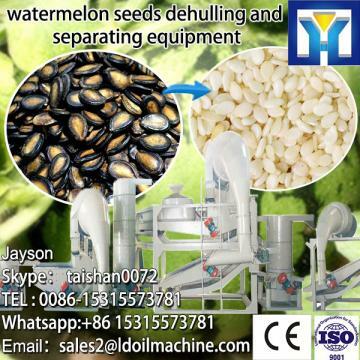 This process adopts the centrifuge sieve to separate the nut and fiber and dregs. The nut is for store after drying under vertical dryer,the fiber and dregs is for the fuel . dregs is for the fuel . For the whole 1-20T/H Professional Factory complete set of palm oil mill equipment,warranty is 12 months,within 12 months,if have equipment quality problems,we will provide accessories freely. After the expiration of the warranty period,if have spare parts problem,we only receive the cost of required replacement parts.We commit we will provide free technical support of equipment all whole life. Our company has engaged in producing and exporting 1-20T/H Professional Factory complete set of palm oil mill equipment for many years, and until now, our machine has exported to overseas market, such as Brazil, India, Indonesia, Russia, Thailand and so on, and get the foreign customers' unanimous praise.